The BoBunny Blog: Happy Thanksgiving! Just a quick post today to wish all of our wonderful Bo Bunny fans a Happy Thanksgiving! We are certainly very thankful for all of you! 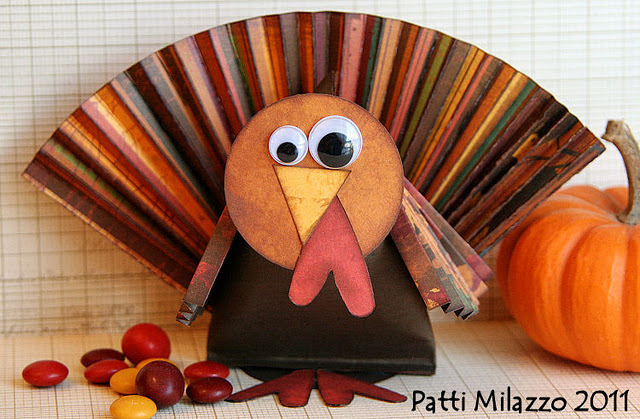 And just because it is the cutest thing out we will leave you with a picture of this adorable little turkey treat holder that Patti Milazzo made in this post. From all of us at Bo Bunny, Happy Thanksgiving!